Anyway, you finally got the file that is really important to you deleted off computer by accident and you even emptied the Recycle Bin to satisfy your habit. This is the very difficult situation that many users have been trapped in. Then the popular question rises “Are deleted files still on my hard drive?” “How can I recover deleted files free?” It is a relief that users have the chance of getting back deleted files as long as they choose correct recovery software and act fast. What happens to a file when it is deleted? Deleted files are moved to Recycle Bin first by default, so if you realize that you still need them, you can just find and restore them from Recycle Bin. This is the way provided by Windows to protect data from accident deletion. But, if you disable the Recycle Bin or get it emptied, the way to recover deleted files will go different and difficult. A file still doesn’t get permanently erased from hard drive after deletion which only deletes file directory structure. It is still stored hard drive sectors as it was used to. Here, hard drive sectors can be compared to pages of a book. The deletion of files doesn’t remove the page off the book, but deleted pages index from the table of contents which represents directory structure here. However, the capacity of hard drive is limited, thus at last free space where deleted files stays will be occupied and then filled up. These operations will overwrites lost files. Therefore, there are limitations for deleted files recovery. For instance, if the deletion occurred two years ago, the chances of recovering deleted files are quite slim, since they might have been overwritten already. Step 1: Download this free recovery software online and get it installed to a computer or laptop that is running any versions of Windows. 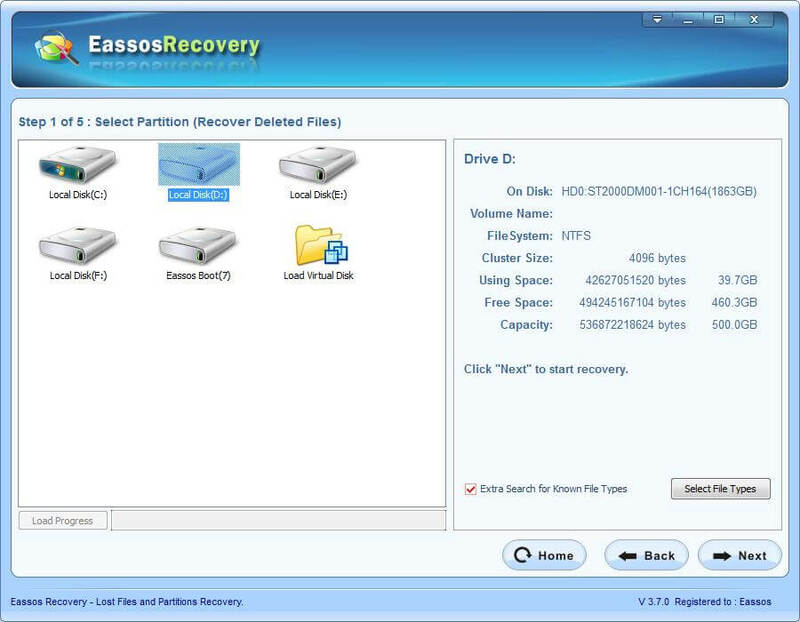 Step 2: Start Eassos Recovery and click the recovery mode that suits the data loss situation best. Step 4: Preview and recover files. After scanning, you are able to browse listed files like what you do in Windows Explorer. Then you can save any data you want and get them recovered. 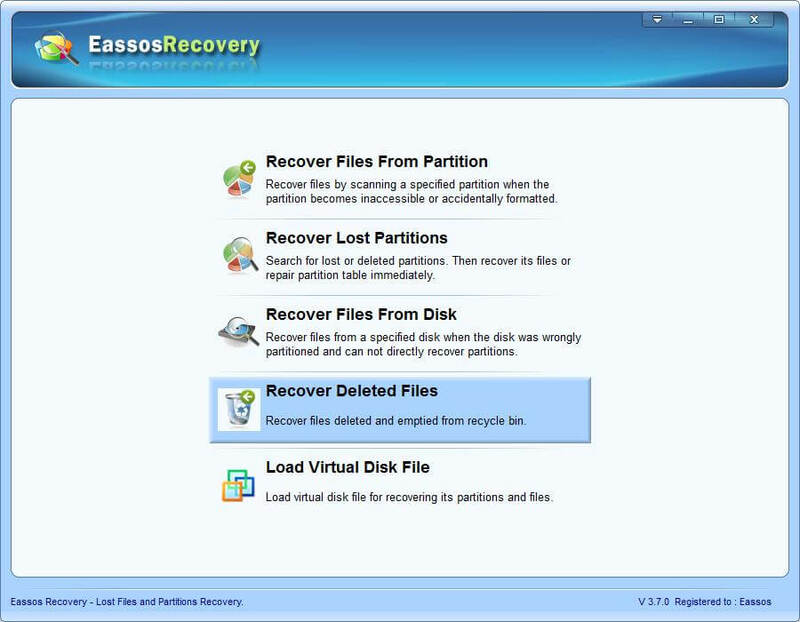 This entry was posted in Data Recovery and tagged free data recovery software, free recovery software, recover deleted files free, undelete files by EASSOS. Bookmark the permalink.